This article reveals the reason Christians live nothing like the One they worship. Imagine a world programmed to think those who obey the Ten Commandments are heretics. It’s not hard to imagine; that’s the world we live in, and what is wrong with it. Scripture tells us the world is drunk on the wine from the cup of the mother of harlots (Babel). Which of the following would you guess to be behind such a scheme? A. The Devil (see Rev. 12:17) B. Yahuah the Creator Who gave the Ten Commandments to all mankind (Eccl. 12:13-14). Paul warned us to not be carried away by clever words: “Let no one deceive you with empty words, for because of these the wrath of Yahuah comes upon the sons of disobedience.” (see Eph. 5:6). 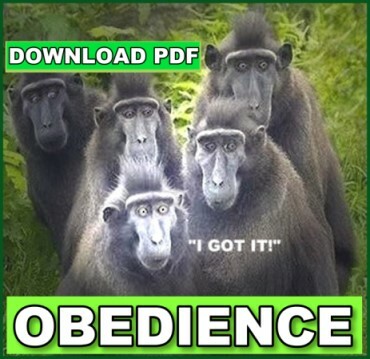 If this world is on the right path, that word “disobedience” should read “obedience.” Prophecies show we are not on the correct path, but tells us there would be those who would lead many to righteousness in the last days. You may use this free pdf download to share with others or make copies of it to pass out. You may also order printed copies directly from us. Become a harvest worker. It’s easy to email this pdf to your nearest Staples print department and order quantities to expand Yahusha’s work.